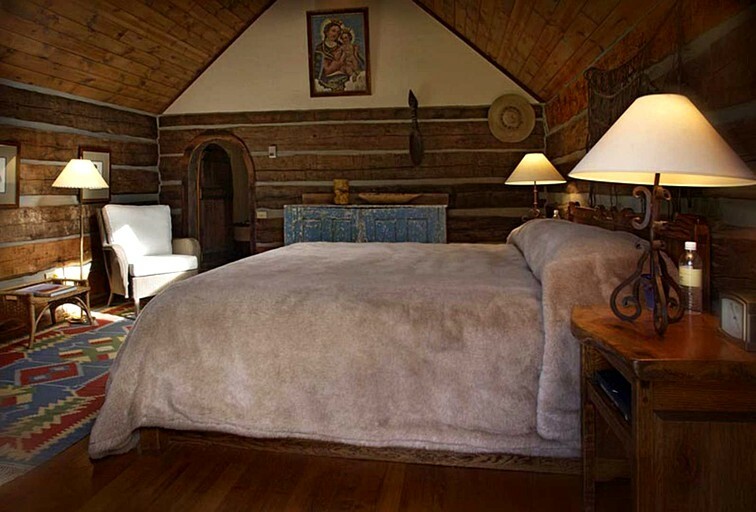 This peaceful cabin is located in Mesa Verde National Park, Colorado, and can accommodate two guests. There is one full bedroom and one full bathroom. The first bedroom has a king-size bed. In the first bathroom, guests will find a toilet, a sink, and a shower. Linens and towels are provided. Although in a secluded area, the resort offers high-speed wireless internet access in every cabin and video conferencing in the Dance Hall. The resort has an exclusive spa focusing only on holistic and therapeutic healing that consists of totally natural treatments using only the finest natural oils to ensure a feeling of perfect well-being. An exclusive chef is ready to prepare high-quality gourmet specialties that fit exactly your taste. The resort only uses natural, ecological and local ingredients to ensure healthy and tasty meals. Breakfast, lunch and dinner are served at a long, antique table at the center of the saloon. 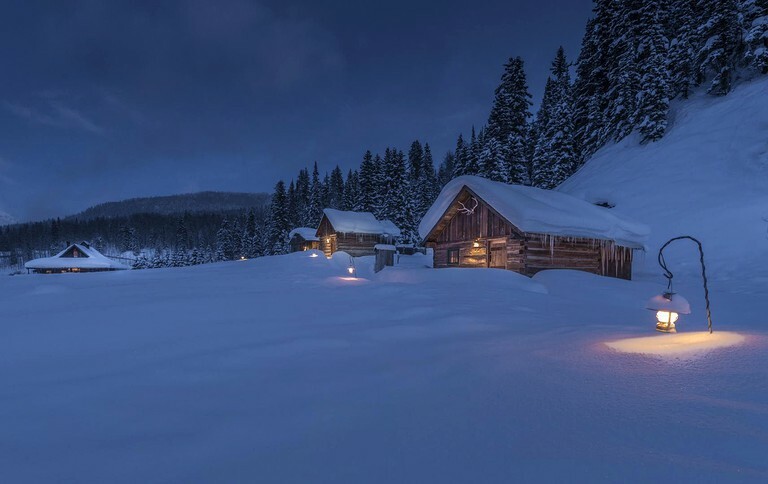 The resort is committed to offering its guests an exciting stay: helicopter skiing, mountain biking, snow shoeing, hiking (from mild to demanding), camping, fly fishing, river rafting, and kayaking are only a few of the outdoor activities to be mentioned. 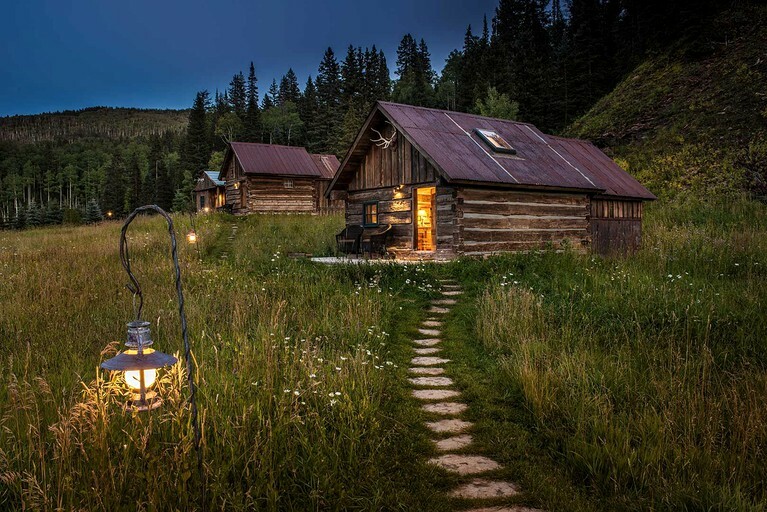 Or maybe you fancy exploring the unique archaeological sites or hiking through Monument Valley and Canyon de Chelly, deep in the Navajo desert, into the enticing wilderness of the "Valley of the Gods" to the owner's vineyard in McElmo Canyon. You also don't want to miss relaxing in the natural hot springs under the clear-blue sky or indulging in one of the chef's exclusive meals of startling quality. The resort's aim is to offer its guests only local, organic products: lamb from the outside meadows, boletus and chanterelles, and fresh, tree-ripe fruits and vegetables from the nearby orchards and gardens, accompanied by an abundance of delicious wines, from a rich Bordeaux California classics to Tuscans and Aussie favorites. The resort is open all year long and the entire town can be rented for private use for up to 44 people.